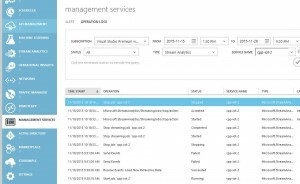 There is an easy way to track what your instance is doing and this method also works for other azure services. 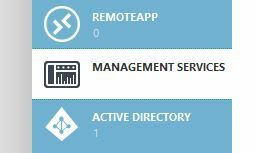 Using the old azure portal, you need to click on the “Management Services” icon in the main menu bar and select “Operational Logs”. 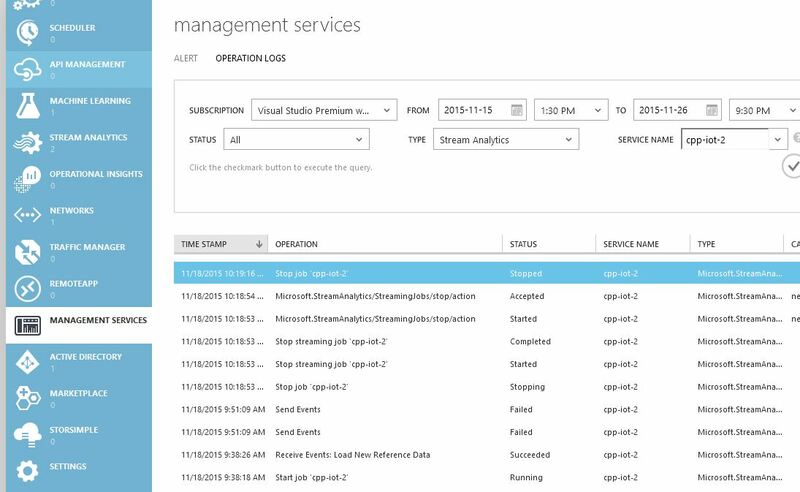 The operational logs section allows you to filter for your selected service and shows you detailed logs for your instance. One trap I fell into is not setting the finish time, as by default this is set to quite a small window, you may need to change this if you are using it for a while. You can click on each entry to see more details, if you wish to see more information about an event. An example of the event log, showing details for a failure. In my case, I used this method to discover that my authentication to the Azure Event Hub had expired and I needed to re-authenticate the connection in the stream analytics input.